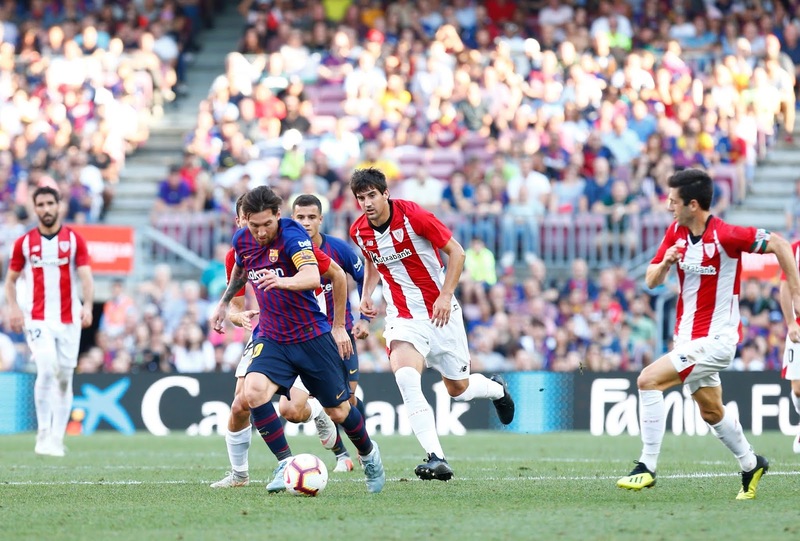 LaLiga Santander leaders Barcelona face another tough test this weekend, as minds focus on the battles to qualify for Europe and avoid relegation. Barça go into the weekend with a seven-point lead at the top of the LaLiga Santander table, but face a stiff test when they visit fourth placed Sevilla on Saturday afternoon. Sevilla’s form has slipped a little lately but are strong on their own turf; Pablo Machin’s side beat Real Madrid 3-0 at the Sanchez-Pizjuan earlier this season and also defeated Barça at home in the Copa del Rey in January. Second-placed Atletico de Madrid returned to winning ways last weekend, but also have a tough challenge coming now, with ‘bogey-side’ Villarreal the visitors to the Wanda Metropolitano on Sunday afternoon. Villarreal’s first LaLiga victory of 2019 last weekend was a boost to their battle against relegation, while the Yellow Submarine are unbeaten in their last six games home and away against Diego Simeone’s side. Third-placed Real Madrid will aim to recover from their shock defeat at home to Girona last time out when they travel to Levante on Sunday afternoon, with the Valencia-based team aiming to do a first-ever ‘double’ over the reigning European champions after winning their first meeting at the Bernabeu last October. The weekend’s LaLiga schedule begins Friday evening at the RCDE Stadium, where Espanyol will be looking to continue their recent good form when they host Huesca, still bottom of the table but looking up now after recent improved results. Saturday starts with a Spanish capital derby with Getafe welcoming neighbours Real Vallecano. Fifth placed Getafe have become serious contenders for Champions League qualification, but 18th placed Rayo have an excellent record against the neighbours, including three wins in their last five LaLiga visits to the Coliseum Alfonso Perez. Sixth placed Alaves are also dreaming of Champions League football next season and have been beaten just once all season at Mendizorroza, though Saturday afternoon's visitors RC Celta really need to turn things around after seven defeats in their last eight LaLiga games. Saturday’s action ends with another derby, this time in the Basque country, as upwardly mobile Athletic Club host neighbours Eibar at San Mames. Their last two LaLiga clashes have finished 1-1, so another tight game is likely. Sunday’s games begin just to the south of Madrid at the Estadio Municipal Butarque, where Leganes have also lost just once all season in LaLiga, but visitors Valencia have left with the three points on their only two previous trips. Sunday afternoon sees Real Valladolid looking for a victory to remain above the drop zone as they host a Real Betis side who will still feel they can make the top four and the final UCL spot. 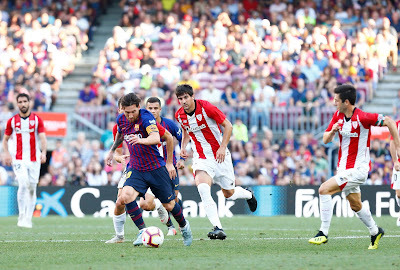 Monday’s game, meanwhile, has Girona, buoyant after picking up a first LaLiga win since November at Real Madrid last weekend, hosting Real Sociedad who are still unbeaten since Imanol Alguacil was appointed coach during the winter break.